"WideOrbit is a stand out in the industry"
I do like the access to running many different reports and how using the same template across the system. I've been able to help management gain the information they need in a more timely fashion using some of the more stand reports. I also really like how knowledgeable they customer service team seems to be when I call. They are able to help me get to the bottom of issues with solutions rather quickly. It sometimes is very slow to respond. If multiple users are on the software at the time, it takes forever to load. Have patience at first as it takes some getting used to. It does have features that we don't use, but overall it is a great product for what we utilize it for. We use WideOrbit as the traffic system for our TV Station. It is certainly a lot more user friendly than traffic systems we've had in the past. WideOrbit 9.0 is very user friendly. The newest feature to partially unfinalize a log in progress is very useful to sports networks to accommodate day of changes. There is not much to dislike about WideOrbit. 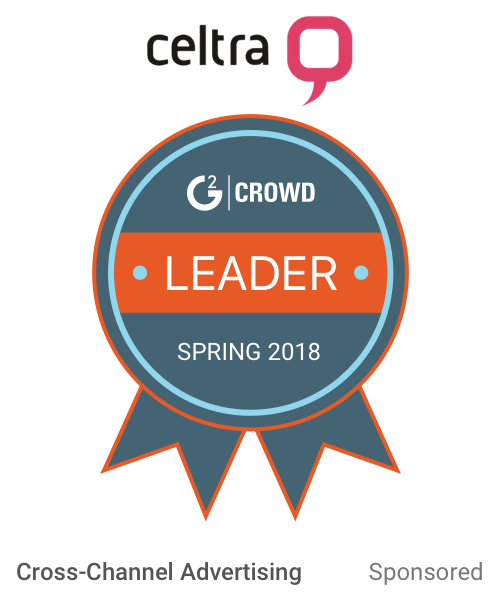 The software is easy to use, the support team is very easy to work with, and they are constantly coming out with new versions and personalizing our playlists. I've seen many demos from other Traffic Software companies. WideOrbit has the best easy of use, clarity, and user friendly system that I have seen. We are a 24 hour sports network that has to maximize clearance on ROS/InGame spots on a daily basis. The optimizer is very useful in accomplishing that goal. "Great tools, too much extraneous info"
The ability to manipulate data in many forms, generating a large variety of reports. Compared to our old system, Wide Orbit makes changing orders easy. There’s too much extraneous info cluttering up the order screens - and it’s my understanding that this cannot be customized to eliminate the clutter. Lack of prompts to let user know that a field or option hasn’t been completed. Training is essential and lengthy. Company supplied training modules are frustrating and lengthy. Not intuitive or very user adaptive/friendly, but once you work with it a while, it becomes much easier and useful. Analytics are very good, enabling user to look at data and sort it any number of ways. "A good program but can be unusually confusing"
It can be very confusing without needing to be. If you forgot to click one button the whole order can be wrong and the need to ready your orders multiple times is also very frustrating. I would recommend utilizing the help and support team with WideOrbit. They have helped our office many times and are always very quick to be on board with anything we need. Though the system can be hard to understand, they are always willing to help! We used to use Salesforce which was a much simpler system to use but it didn't have all of the ability that WideOrbit has so I guess the best part is being able to put orders in for any given scenario and also track the where they are in the sytem, i.e, traffic, accounting, production and when they are approved. "I am an ad sales coordinator for an RSN." We have recently learned how to order ingest, which is very beneficial for both us and the client because there is very little room for human error. Having everything in one place for our entire company. All billing is handled in WO so it makes tracking and reporting more efficient. We had a rocky start with their new digital orders service. We like to complicate things so we had a long on boarding process to be able to get where we are today 2 years later. They should have been a little more buttoned up in order to release. If you're a TV client, then this will be a great product for you. it is very efficient. I still believe they have some kinks to work out for the digital product, however, if you do not have a super complicated website, it would be a great product! Company wide billing in one place. Integration with our AdServer that has a seamless transition. Adjust the tabs and search functions to make it customized! Slow refresh rate at times. Easy to work with sales team in another location, but still be able to see the same things. I've worked with Wide Orbit for 6 years, the system is user friendly and efficient to use. I've used other traffic systems in the past that just don't compare. "Not Good For Digital Management"
It will integrate with DFP, but is flawed in doing so. If one line is entered incorrectly - it prevents the whole order from not integrating into DFP. I don't think it integrates into other ad trafficking systems yet. Antiquated system, hard to input new products/ad server commands, doesn't really follow a logical path. Consider using other CRMs, trafficking or billing systems. Billing digital orders and trafficking TV commercials. WideOrbit is an easy to use system for entering digital orders. I dislike that you cannot change a digital line ones the TV logs are closed. Sometimes we have orders come in and need to be live the same day. I would recommend the product as it is efficient and easy to communicate with multiple people. WideOrbit keeps all of our billing in an organized manner. "Diverse broadcast traffic system with many capabilities "
As far as a traffic system, Wide Orbit allows you to do much more than most. It gives you hundreds of different options for sorting and running reports to better organize your broadcast inventory. While having a lot of options could be a great thing, sometimes it's overkill. Wide Orbit could be a little more simple and user friendly. Be sure to do the training's and modulus. Wide Orbit allows you to sort your inventory a number of different ways and it also does a great job of placing commercials on the log, lowering the amount of manual work. You have the ability to set a schedule for a spot for virtually any situation. I personally didn't have to use WideOrbit extensively, but the launcher window still gives you a ton of options (and ways to get lost). It's one of those apps that I need every so often for my particular duties, but don't access often enough to fully remember my way around. It would be nice if the launcher could be simplified or show the last section I worked in. We use it to schedule spots and keep track of inventory. "Not a great experience with WO"
The complexity of the entire program and the difficulty of knowing what the error messages mean. My office in particular has not had a good experience with the program. Compared to our old program, IBS, it is much more complex and you need approval from upper management for everything. It’s not very straight forward and there is a lot of small details that are hard to pick up on...in addition, there is always an error when submitting an order. Wide Orbit is so easy to use leaving training to be completed within 2 months to fully understand everything. Small features such as grouping call letters (properties) together would be so helpful during payment application/aging review/batching and much much more. It is the perfect software for us to use with Broadcasting Media company. It does everything we need with ease and they are willing to work with us to adapt to our needs. I like the flexibility the software has. Sometimes the system itself is slow, but for the most part it works great! Traffic in the broadcast world can be crazy and WO is very helpful. If the system is used correctly it surely does help. "Wide Orbit is great for keeping track of Marketing $$"
Creating revenue reports is easy and accurate! If you don't know the software, it can look overwhelming. My work place recently switched Wide Orbit platforms and I love that the experience was exactly the same from platform to platform. I also like how cutomizable everything is so that it can be read as easily as possible by the user. Dispite saving a users preferred layout, when a window is refreshed the layout automatically adjust to the default setting. It would be much nicer if the layout would stay the same. Wide Orbit is very easy to use inside and outside the office. User Friendly, easy to access and navigate throughout the software. Possibly More shortcuts within the software would be beneficial. Able to access quicker reports that co-workers, clients need. Pretty easy to use and find the information you’re looking for. WO Support is very helpful. Doesn’t take too long to learn. Billing, cash application, managing aging. Very easy to look up accounts and keep track of payments. I liked that it was little easier to put orders in. Everything, it would take forever to find a report i needed, that you had to special power to look at something’s, I hated that our hub was a hour ahead of us. We use it for all order for tv stations, for reports, everything for a tv station. "I utilize Wide Orbit on a daily basis for digital sales orders"
* We monitor all WideOrbit reviews to prevent fraudulent reviews and keep review quality high. We do not post reviews by company employees or direct competitors. Validated reviews require the user to submit a screenshot of the product containing their user ID, in order to verify a user is an actual user of the product. Hi there! 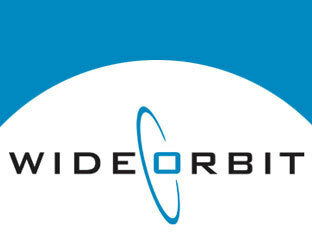 Are you looking to implement a solution like WideOrbit?